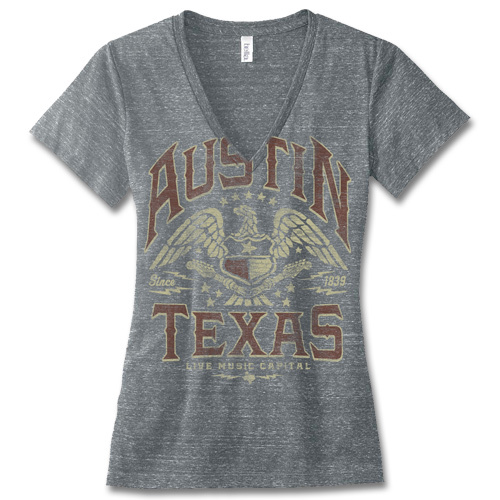 ATX Eagle - Grey Triblend Ladies' V-Neck [5649LTVGR] : Outhouse Designs Screen Print T-shirt Store, Keep Austin Weird! 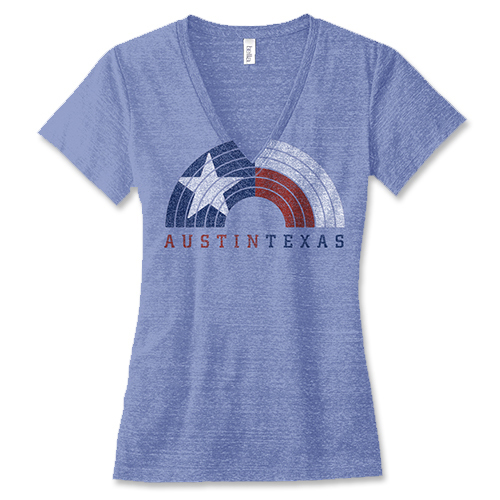 Front print on a Bella 8435 deep v-neck ladies' tee, our ATX Eagle design is form flattering in a grey triblend fabric made of 50% polyester, 37.5% cotton, 12.5% rayon. 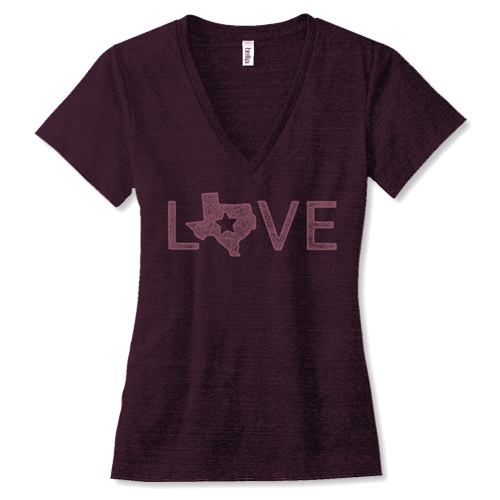 We have a version for the guys, too- available here.